MedPhysicals Plus LLC. is the leading provider of drug testing services in Wasilla with several convenient testing centers located in the Mat-Su Valley. A non-DOT drug test can be the same as the DOT 5-panel screen, or it can be expanded into a 10-panel which includes the following: Benzodiazepines, Barbiturates, Methadone, Propoxyphene, and Quaaludes. If desired, hallucinogens, anabolic steroids, prescription painkillers, and ecstasy can also be included in the non-DOT drug test. Drug screening services are available for walk-in drug and alcohol testing, DOT and NON-DOT onsite and mobile drug testing, after hours drug testing, and random drug testing. For your convenience, we provide a 24/7 mobile drug testing service. Drug Testing Service available in Wasilla and the Mat-Su Valley. Drug and alcohol testing services are provided for employment, DOT, court ordered, school, personal and are available for both individuals and employers. MedPhysicals Plus LLC. 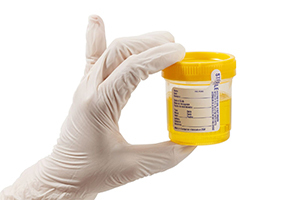 offers 5, 10 and 12-panel drug test screenings utilizing urine, hair, blood and oral fluids/saliva. Alcohol testing is available for breath alcohol, standard urine, and ETG testing. Scheduling a drug, alcohol or any testing service is simple and easy, Call (855) 561-7587.
to learn more about NON-DOT drug testing services in Wasilla.